§ Maximum distance between grips: 700 mm. 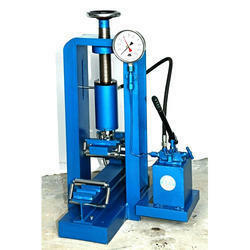 Glass Agencies offering a superior range of Polymer Testing Machine, which is widely used in various industries. As per IS:1237, 654. 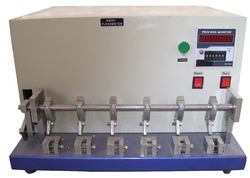 This is a double lever loading machine and the load is applied by flow of lead metal which automatically stops when the sample breaks. The sample is mounted between rollers 40mm or 12mm dia. Bearing rollers can be placed at centre distances of 150, 200 or 270mm. Complete with 20 Kg lead metal.